This competition website allows you to create a gamer profile, share information with your friends, compete in many public and private ladders, and much more. There are also user created tournaments, an in depth ranking and reputation system, and there is even the capability to compete for credits which can be cashed in for real money. 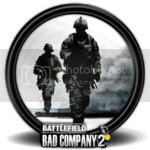 Battlefield:Bad Company 2 Xbox 360 ladders are opening Soon and your support and presence is wanted. Go to www.Fraggnednation.com and sign up today. There is also a fully functioning and open Battlefield: Bad Company 2 360 ladder located HERE, … PS3 will be coming soon. if you have any questions i will be more then Happy to answer them here, I am the Game Director for this Arena so ask away. thanks we will take a look at it . why ladders start now in BETA ? how you keeping the anti cheating ?